Advocates and funders alike tend to focus on policy wins – in other words, when a proposed policy becomes law. However, the implementation of a given policy is just as important as its formulation. 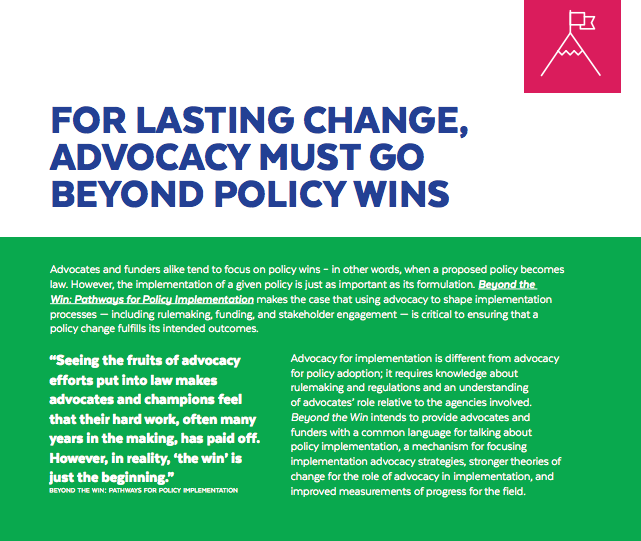 Beyond the Win: Pathways for Policy Implementation makes the case that using advocacy to shape implementation processes — including rulemaking, funding, and stakeholder engagement — is critical to ensuring that a policy change fulfills its intended outcomes. Beyond the Win intends to provide advocates and funders with a common language for talking about policy implementation, a mechanism for focusing implementation advocacy strategies, stronger theories of change for the role of advocacy in implementation, and improved measurements of progress for the field. 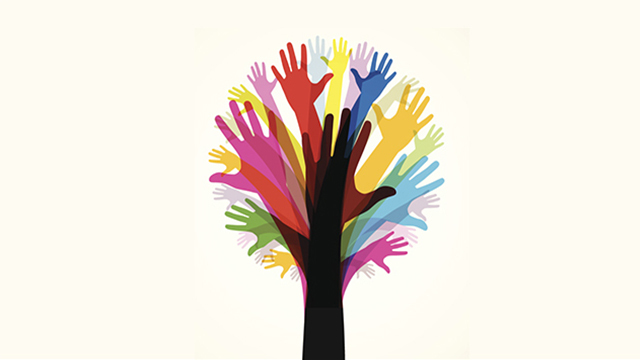 This article, published in Health Affairs in September 2016, takes a retrospective look back at what foundations might have done differently if they knew then what they know now about health form, with insights from foundation and advocacy leaders.